A 100-year-old farm house in Clinton, Md. burned to the ground Tuesday. Crews responded to the home at 8200 Rosaryville Road around 11:30 a.m. 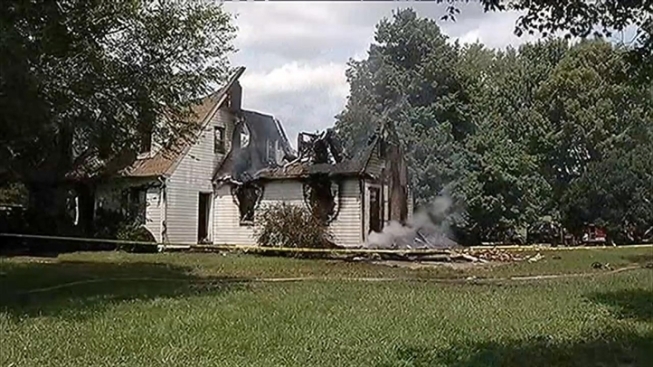 The home belonged to 78-year-old Donelson Christmas II, who was born and raised there. "When they initially arrived, they had heavy fire conditions coming from the second floor which eventually consumed the entire house," Mark Brady with Prince George's County Fire said. "[Christmas] was not home at the time of the fire." The preliminary loss is estimated at $250,000 and two dogs and two cats are still unaccounted for.